Houston Harper apologizes for not getting to see her on her last trip to Washington, D.C. and also commends her on her recent radio broadcast. 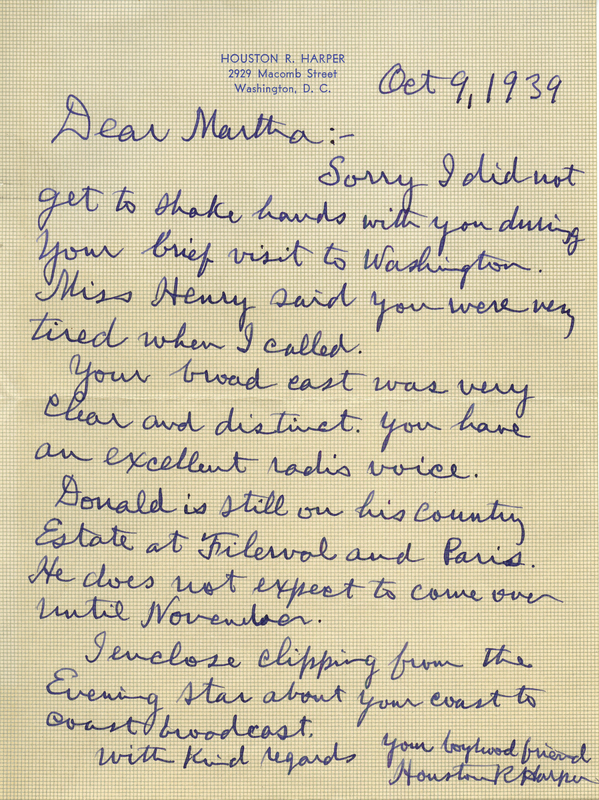 Mr. Houston R. Harper, “A Letter from Houston Harper to Martha Berry.” Martha Berry Digital Archive. Eds. Schlitz, Stephanie A., Justin Karch, Jessica Hornbuckle, et al. Mount Berry: Berry College, 2016. accessed April 19, 2019, https://mbda.berry.edu/items/show/15184.